The Montreal Neurological Institute and Hospital – The Neuro - is a world-leading destination for brain research and advanced patient care. Since its founding in 1934 by renowned neurosurgeon Dr. Wilder Penfield, The Neuro has grown to be the largest specialized neuroscience research and clinical centre in Canada, and one of the largest in the world. The seamless integration of research, patient care, and training of the world’s top minds makes The Neuro uniquely positioned to have a significant impact on the understanding and treatment of nervous system disorders. The internationally renowned Montreal Neurological Institute is a McGill University research and teaching institute. The Montreal Neurological Hospital, delivering the highest quality of care to patients, part of the Neuroscience Mission of the McGill University Health Centre. To understand the nervous system, discover mechanisms of disease, and develop and deliver effective treatments for neurological conditions. To foster an outstanding research and clinical atmosphere by promoting interaction and collaboration. To train and mentor new generations of scientists and skilled healthcare professionals, and foster clinician scientists. ​To develop a new model of discovery and innovation based on open science as an accelerator for the benefit of patients and the community. The Neuro is the first academic institution of its kind in the world to fully embrace the principles of open science. By freely sharing experimental data and biological samples with colleagues around the world, and by working to develop business models to bring open source discoveries to the marketplace, open science at The Neuro promises to accelerate the pace of research while placing The Neuro, McGill, and the Canadian scientific community at the forefront of a global movement to transform science, knowledge, and healthcare delivery for generations to come. At the Montreal Neurological Institute and Hospital experts apply discoveries of basic science research to improve the care of patients suffering from neurological diseases. Patients benefit from close interaction among clinical and basic scientists and receive advanced treatment for ALS, brain tumours, epilepsy, migraine, multiple sclerosis, pain, Parkinson’s disease and other conditions. Patients also benefit from technical advances in brain imaging, neuro-radiology, neuro-navigation and neuro-stimulation. Many patients participate in studies of the newest treatments available through the Clinical Research Unit. The Montreal Neurological Institute and Hospital is the largest training centre for brain research in Canada. It is also home to North America’s largest neuroscience graduate program – the Integrated Program in Neuroscience. Today’s trainees, from over 60 countries, have a worldwide impact as we reach out through international collaborations, formal relationships with sister institutes, and high visibility in professional organizations. 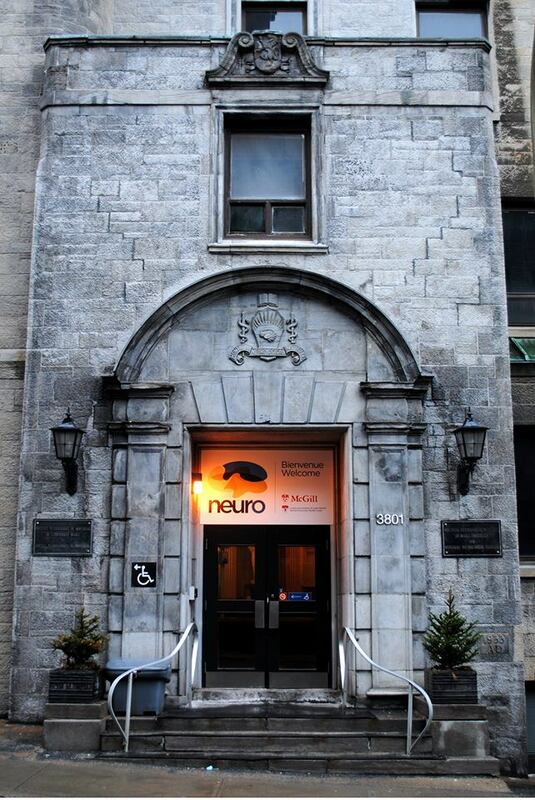 The Neuro also participates in clinical and clinical research fellowship programs with the McGill Faculty of Medicine.